Today our guest blogger, publisher Madeline Smoot from CBAY Books, gives us a peek at her the submission process from her side of the table. One of the easiest ways to get rejected is to send your manuscript to some one who doesn’t read your type of work. For example, I only publish fantasy and science fiction novels for children and teens. If you send me a picture book, a historical fiction or a nonfiction book query, I’m going to reject these without even looking at your manuscript. I don’t publish those types of work. There’s no point in sending them to me. Every publisher and agent has specific submission guidelines that detail how they prefer to receive your submission. Some people want a query letter. Others prefer the full manuscript. No matter what they like, each agent and editor wants to see your submission in the preferred format. To present it in any other way tells us that you didn’t read our guideline or can’t follow directions. There is a standard form for query letters. This means that yours probably sounds much like everyone else’s. This isn’t exactly bad, but it does mean there’s a chance that your brilliant manuscript will get overlooked. Some people solve this by ignoring query letters and going right to the manuscript. Others put a great deal of importance in the query letter. It’s a gamble either way. I don’t know you. I’m generally not judging the quality of your book. I’m making a business decision about whether or not I can make a profit with your book. There’s a lot that goes into that decision, including market forecasts and printing costs. The quality and my interest in your manuscript is only a part of this decision. Publishing is a business. Learn it. Study it. You’ll still make mistakes because you are new, but you still will be ahead of your novice colleagues. Take classes about publishing with your local SCBWI. Read books on the subject. Talk to experienced writers. Remember to act professional. It will go a long way with the editors and agents you work with. Rejection is inevitable in this business, but if you remember these five things, hopefully it won’t be quite as painful. Madeline Smoot is the publisher of Children's Brains are Yummy Books, a traditional small press focusing on science fiction and fantasy for ages 8 and up. Ever had a root canal? Paper cut? Compound fracture? Anyone who’s ever had to do a major rework of a manuscript knows how painful it can be. I thought I’d share a bit of my experience with you. My main piece of advice is to NEVER underestimate where a flash of inspiration might come from (or when). My current WIP is now in its 23rd edit. Yes, you heard me. It’s about a real-life Broadway and silent film star. Loving all things historical, I wanted to write a fictionalized biography of her life, capturing the color and flavor of that era. I’d written it in third-person, beginning in her youth. But the manuscript just laid there. It needed an overhaul. But what? When other writers say you should set your manuscript aside for a little while and then come back to it, they’re right. I trunked this one for a good six months, but still thought about it from time to time. If I had an idea, I scribbled it down for later, but I was determined not to touch it until I felt I was ready. That moment came in a flash, when I was standing in the shower one morning. Of course! I was using the wrong point of view! This book needed to be in first person. Not only that, I needed to stop thinking like an intelligent, college-educated woman of the later 20th century. This star quit school. She grew up in Pittsburgh (not Texas, like me). She was a shop girl. I had to begin thinking like her. On the first rewrite, I changed the language to first person from third. Definitely better. The next rewrite, I “Olive-ized” it. I examined every word she used, simplifying to make her sound more realistic. There. That helped a bit. Still boring, but realistic. Next I added details of New York, Los Angeles, and Pittsburgh. In each scene, I addressed the five senses. What would she be seeing, smelling, hearing, touching, maybe tasting? I invested in research books and scoured old newspaper microfilm for details of old stores, restaurants, theaters, and news stories of the era. The last piece of the puzzle was rewriting the beginning. I’d changed my viewpoint, but I’d missed the obvious solution to my introduction. There are rumors that Olive’s ghost supposedly haunts the theatre where she used to perform. There was my hook. Her ghost would tell her story! But still, agents weren’t biting. I rewrote it several more times, usually to fix timeline errors (which play a huge part in your work when you’re writing about real people). I had a silent film expert who knew a LOT about Olive give it a beta read, and gave me TONS of wonderful advice. I had a few partial or full requests, but the responses were still always no. I bought a Cassell’s Slang Dictionary, and it opened a wonderful new world for me, as did Marion Meade’s Bobbed Hair and Bathtub Gin. I watched 1920s-based movies and took notes. Gradually, Ollie’s voice emerged—a sassy showgirl who smoked, drank, and had a thing for bad boys. When I stood back and examined it again, I knew it was coming along. My dialogue began to flow like magic when I got to know these people and became them. The good news is that over the holidays, I got my first R & R from an agent’s assistant. He loved my writing, but wanted to see an even more deeply developed world. I’m sending my changes back in another few months. Never underestimate the power of positive editing! Laini Giles grew up in the hippie mecca of Austin, Texas during the 1970s. She became a bookworm early on. Her dad read Winnie the Pooh Meets Gopher to her every night until she could follow along on her own, so she could read before she reached first grade. When she was eight, she wanted to BE Nancy Drew. Until she realized that there might not be any escape from deadly tarantulas, scary cisterns, and bad guys with guns. This inspired her first book, a Nancy Drew rip-off with hand-drawn illustrations, completed a year later. She put the writing aside while real life got in the way for a while, obtaining a BA in art history from the University of North Texas, and became a technical writer for her day job. She thinks Pop-Tarts are the world’s most perfect food. Guest post by Meg Miller. Do you have dire mood swings about your manuscripts? I am here to help you LOVE. YOUR. MANUSCRIPT! First, a favorite song of mine, to get your blood pumping - Bob Marley's Could You Be Loved. Excuse me while I shake a tailfeather. Now, let's turn this song around on your manuscript. Could this manuscript be loved? 1. Unique concept or a fresh take/twist on an old story? 2. Loveable, yet flawed main character? 3. A story arc, with growing tension? 4. Does the main character change or grow? 2. Sent your story to your critique group and/or paid for a professional critique? 3. 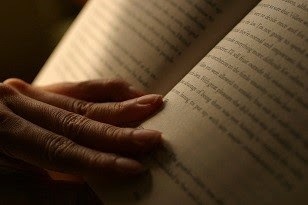 Read your story aloud? And/or had someone else read it aloud? 4. Let your story sit for a while to percolate? This helps you distance yourself from your story and lets you look at it with fresh eyes. 1. Read all the feedback you get and try different techniques for improving your story, but trust your gut and write the story the way only YOU can. 2. Let your story rest again, even if just for a week. Part of loving your manuscript is putting the time and effort into it, so you know that you have written it to the very best of your ability. 3. Read your story aloud. 4. Study books of the same genre. 6. Get critiques and revise. 7. 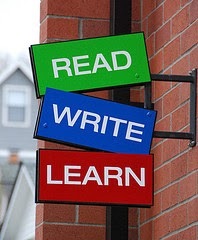 Revise, read it aloud, and revise some more! These suggestions are not new. I find them cropping up in every craft book I read, every class and workshop I take. Perhaps because they work? :) Happy writing everyone. 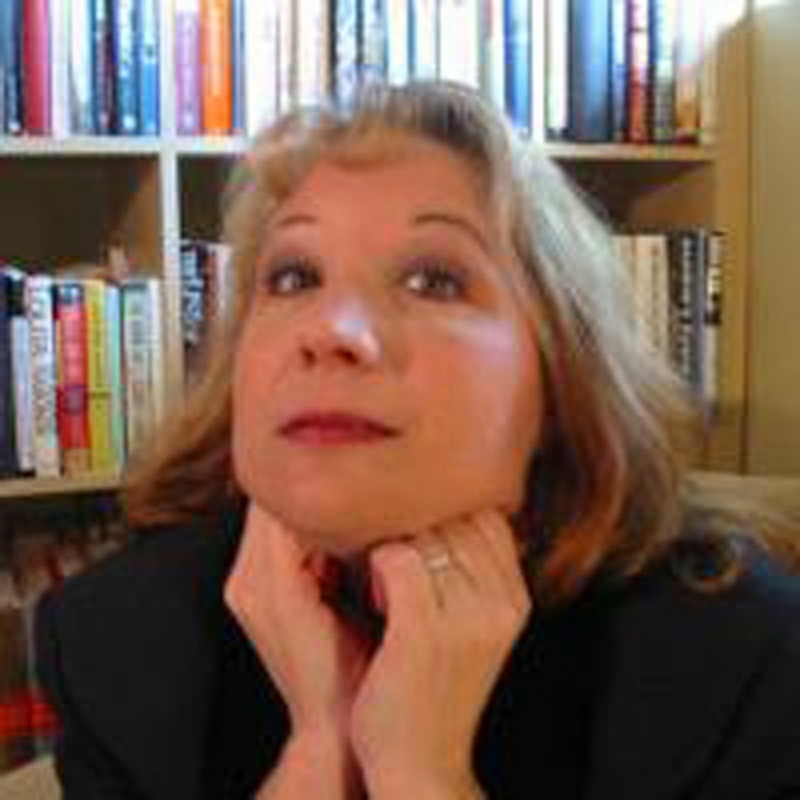 Meg Miller is a children's book author, artist and ReviMo (Revise More Picture Books) Challenge creator. She has two kiddos, Peep 4 and Speed 2 (nicknames!) who inspire many story ideas and keep her and her husband laughing. http://megsmiller.blogspot.com. Step 1: Read, read, read. Step 2: Write, write, write. That is the Three-fold Noble Path of Improvement within the writing community. It's supported by the 10,000-hours-to-expertise craze. But it is missing an important nuance. It is altogether possible (in fact, probable) for someone to be a prodigious reader and then pen a painfully awkward novel. It is likewise a sad truth that prolific writers can churn out poor manuscript after poor manuscript. So, what’s missing? Education, dahlings. I’m not talking about an MFA (which has been a boon to some and expensive heartbreak to others) or even any of the plethora of writing classes (though the good ones can be very helpful). I’m simply referring to conscientiousness. If you want to be a good writer, work at it! Read up on craft. Then read the books that put those techniques to skillful use. Join a critique group. Learn not only from the pointers others give you, but also from editing them. Work to improve the skills and talent you have – it pays off. I have the great fortune to be interning at the Corvisiero LiteraryAgency. I am one of the slush-pile gatekeepers, and I have to be able to articulate and justify my decision every time. I realized the other day that every decision I’ve made, every piece of advice I’ve dispensed – first as a critique partner, then as an editor, and now at a literary agency – I’ve learned. I learned what the rules are and, more importantly, why they are there. So did every half-decent literary agent or editor. They were not imbued with magical powers. They did not go to Professor X’s School for Red-ink Sadists. They learned, formally and informally, over the course of many years. As the publishing industry evolves, they’re still learning. They learn because they care. This isn’t to say there isn’t room for creativity. Of course there is – it’s the lifeblood of writing. But if you think that learning about technique, style, and the publishing environment will hamper your ability to do well, then you are getting something wrong. When you realize all the nuanced possibilities that exist within characterization, plot, setting and more, you realize you have that much more room for creativity. And, if you are interested in not only telling a tale for yourself, but also imparting it to other readers, knowing what works and what doesn’t only helps you fulfill you goal that much better. I have loved the concept behind Rate Your Story since the beginning, since before I was fortunate enough to become a part of it. This writing business is hard stuff, and the publishing business is downright fraught. I’ve no doubt that RYS has prevented more than one premature submission, has challenged writers over and over again to up their game and make their idea into the manuscript it can be. But for all the punch it packs (and I believe it is huge, for something so brief), the RYS feedback can only do so much. And so the Writer Wednesday blog – which I am thrilled to be heading up now – exists as an extension of the learning process. This year, you can expect behind-the-scenes looks at the publishing industries, articles on crafts, information on helpful writerly resources, and insights into how other writers successfully navigated their massive revision projects. So stay tuned, and if there’s some burning issue you want discussed, please mention it in the comments and I’ll see what I can do! 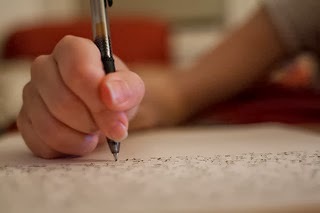 Want to make 2014 a productive writing year? Need a bit of a push? Want a challenge? Join us on the Write Through 2014 Challenge. There's a free new challenge every week. All you have to do is sign up at www.terriehope.com. Once you have signed up, read the challenge for the week then get writing. Every week we are posting our achievements. All I ask is that this is done by 5pm on a Saturday. This way we will have time to give praise (for achievements) and encouragement (for the new week). Any participant is welcome to submit a challenge for consideration. So sign up, have fun, and write through 2014! P.S. TODAY (FEB. 5) IS OPEN SUBMISSION DAY! Contest Entries CLOSED as of 11:59 p.m.
WOW! So many great-looking entries have poured into the RYS inbox. Now they're off to the judges. We hope to announce our 2014 Rate Your Story Contest Winners sometime in mid-March. Thank you for your patience. As a reminder, we will only be contacting winners and finalists. We'd love to give everyone feedback, but it's just not possible. If you missed the deadline (11:59 p.m. Eastern time), don't forget to sign up for our eNews to be the first to hear about any future contests! Thank you and good luck to all of you who entered. 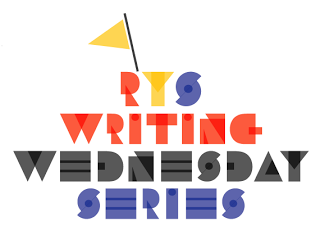 Come back on Wednesday for an awesome guest post in our Writing Wednesday series!